Between Lady Gaga and Nicki Minaj, the Grammy Awards is starting to look like a costume party! 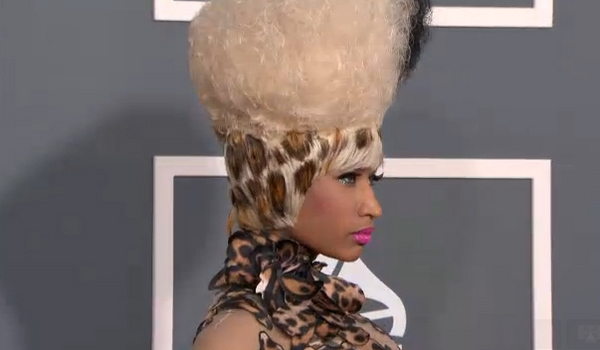 Nicki Minaj arrived on the red carpet in a Leopard Print outfit designed by Givenchy. She topped it off with a leopard spotted hairstyle. Wow!!! beautiful hair and i also love the dress …. But what do you except from our Queen Miss minaj cos this is her moment for life ….. THE WINNERS AT THE GRAMMY AWARDS.